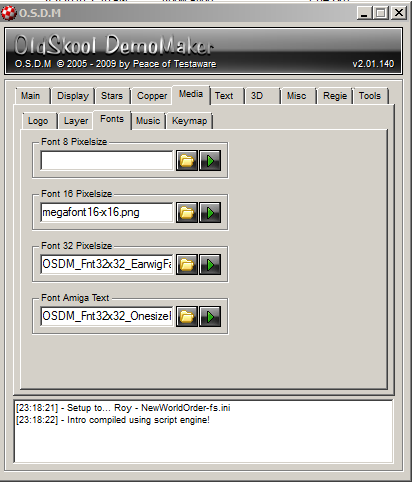 I wrote a couple months ago a tutorial for the OSDM Wiki for the creation of my Oldskool Demomaker multi-part demo production ?? 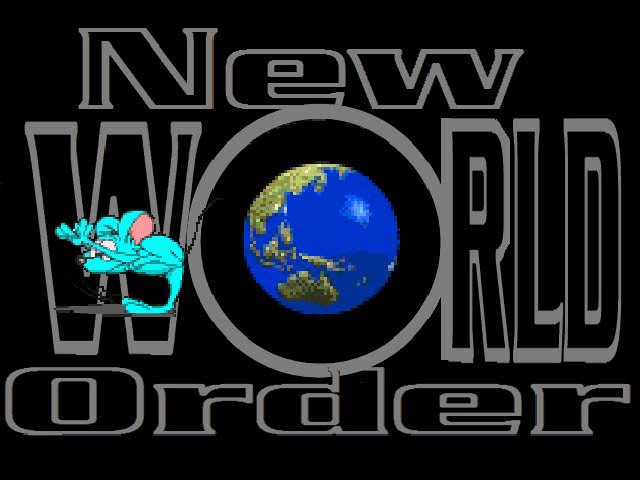 ?New World Order???. Unfortunately does it appear to be the case that the tutorial was not indexed by search engines like Google yet, so I decided to republish it at my personal blog once more that people will be able to find it, if they are searching for content like this. Watch the Video Capture of the Demo and download the Win32 executable here. 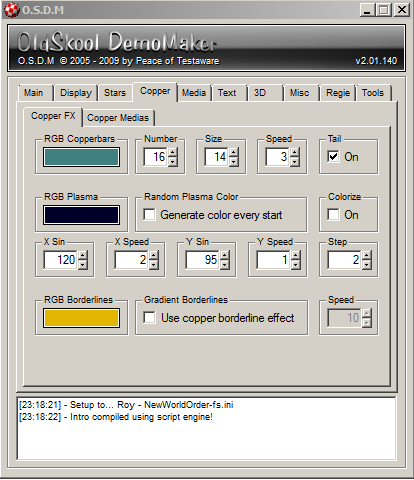 First a break-down of the individual demo parts and which OSDM effects were used for each of those parts. – Sinus 16 and 32 Effects Not really a part: 12) Quit Demo via Scroll Text Control Code and Transitions between many of the demo parts are using the C64 Back effect. See details further down. I am now going over all Settings Tabs and their configuration in detail. I also added notes to the effects settings where I felt it to be important to explain the ???WHY??? and ?? ?WHAT FOR???. The settings for the rotation and speed were configured primarily for the Vector Space Ship part, because there the effect plays an integrated part in the scene beyond merely providing visual support. I like to use the plasma effect to add some visual depth to various scenes. It just looks cooler if you have something going on in the background instead of having just a black screen there. I like blue as a color in general, but it is also a nice fit for the space scenes in this demo. However, the effect is used for visual support in 3 parts of the demo altogether. 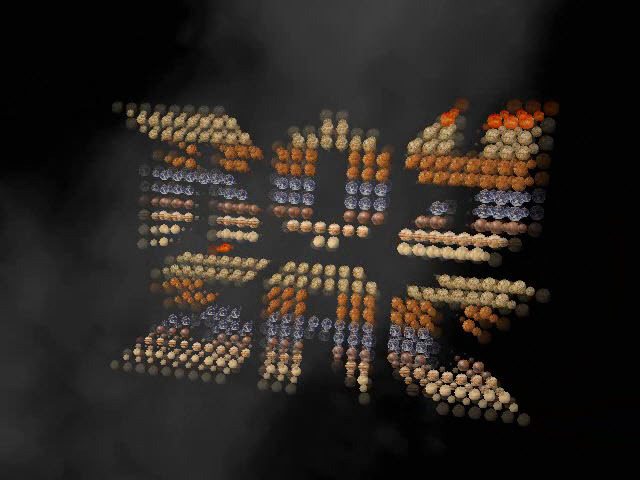 The logo effect is only used for the final part (11) of the demo. I almost did not use it at all, but felt bad about that fact and decided to add a small and short bonus part at the end of the demo as a result of it. 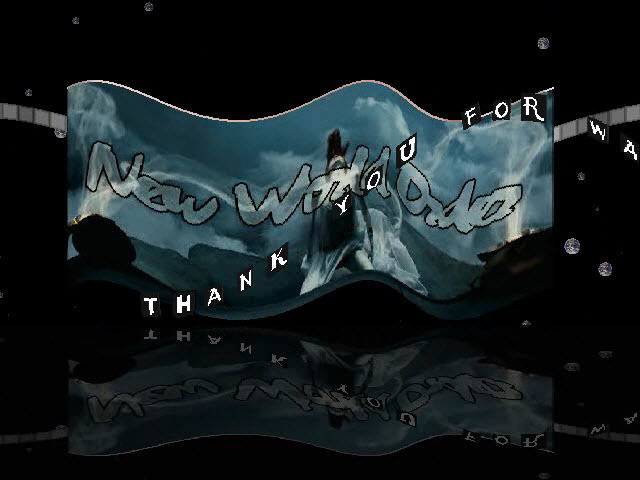 I use a Vertical Frame animation as logo, a girl covered in silk throwing back her hair in slow motion. It almost looks like she is underwater, which is the reason why I applied the ?? ?Wave Stretch??? 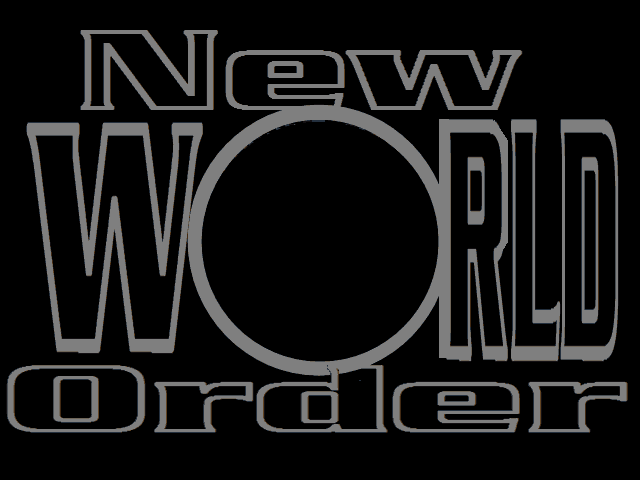 effect to the logo to enhance this notion even further. This effect is only used for part 9) of the demo. 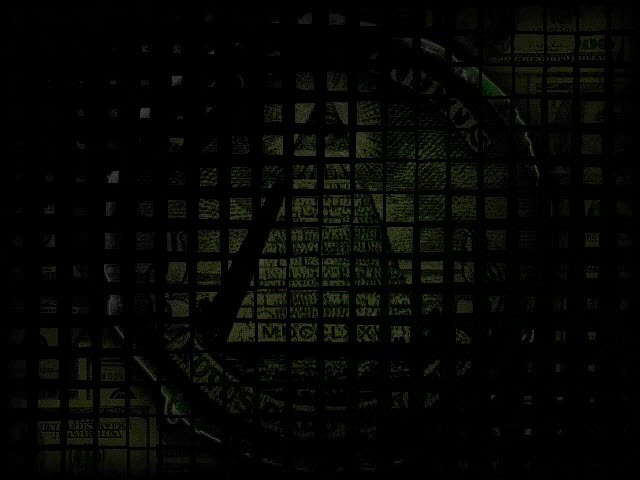 The black regions of the image are transparent and make the MASK effect visible. The order in which the effects are rendered is controlled via the ???Storyboard??? feature under the ???Regie??? 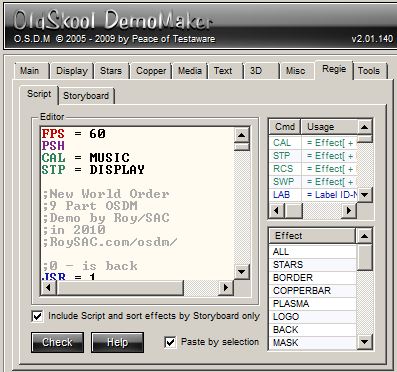 (Direction) tab of the OSDM interface. 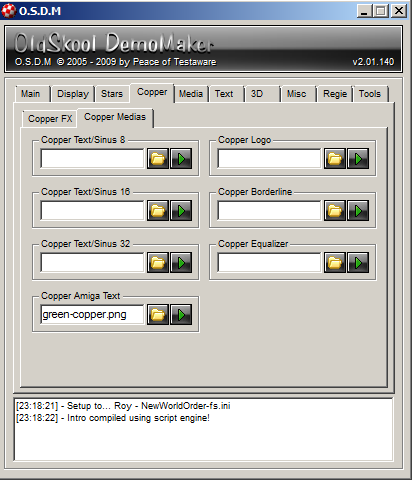 This nice effect is used in 3 parts of the demo 5) Text and Copper (to enhance the copper background effect), 9) just on its own and 10) as background for the same image used with the BACK image and only visible through the black and thus transparent regions of the BACK image effect. Used for Big Scroll and Sinus Scroll 16 (Final Part). 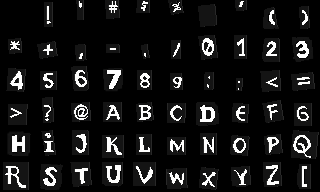 As you can see, most characters of the font were replaced by graphical elements, which are vital for its use for the two effects in the demo. I only used a single Fast Tracker 2 (.XM) tune, so there was nothing really to configure for me on this screen (except for selecting the tune itself). 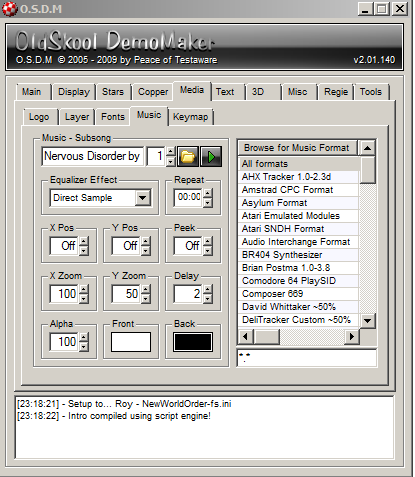 I am not using the Equalizer effect nor the multiple tunes packed into an OMA archive features. 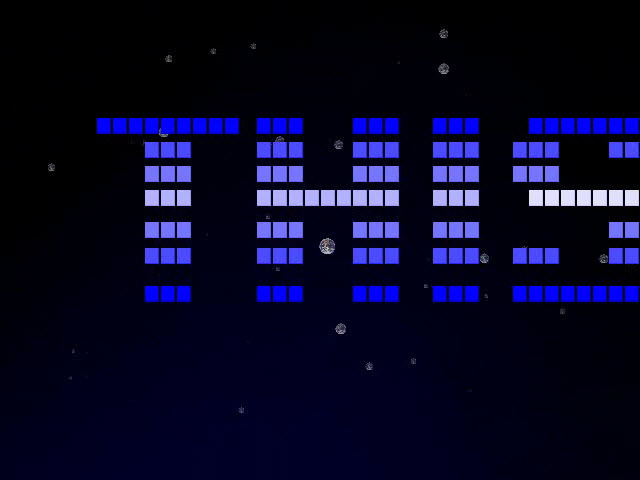 The Big Scroll uses a special tweaked font where the letters are replaced by graphical elements that make up the scroller, in this case square boxes in blue colors with different shades. 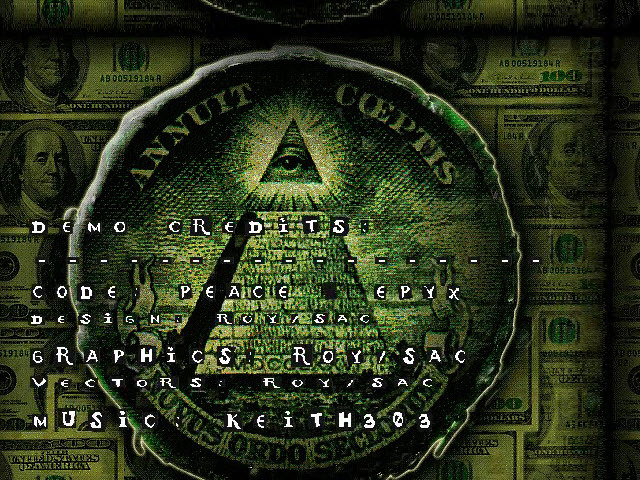 Each scroller starts with a ^B control code to initiate the ???bounce??? effect. The amount is set to a different value for each scroller to achieve the stretch and swing effect that you can see in the final demo. 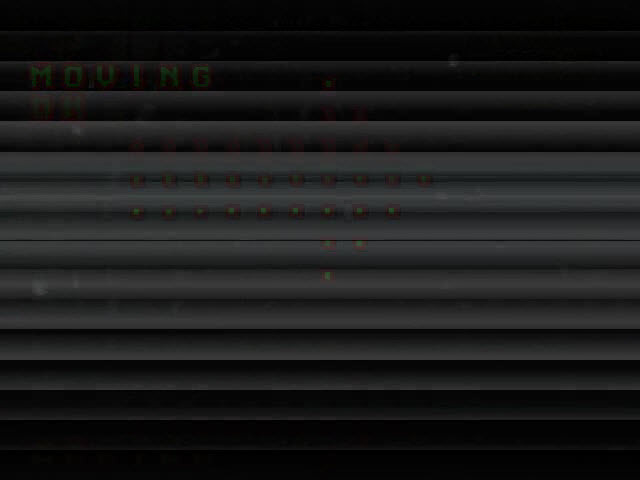 The ^S0 code at the end of each scroller sets the speed to 0 to avoid that the scroller restarts. 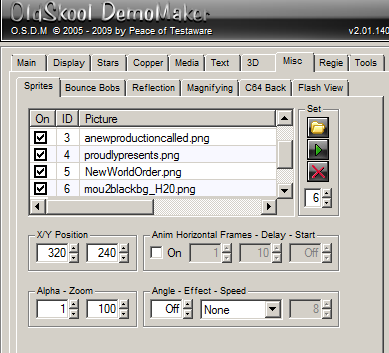 In Order to prevent the Scroller No 8 with the Script command to be executed while my Big Scroller runs, I set its speed via OSDM Script to 0 prior running the big scroller. I then changed the speed back to ???-5??? 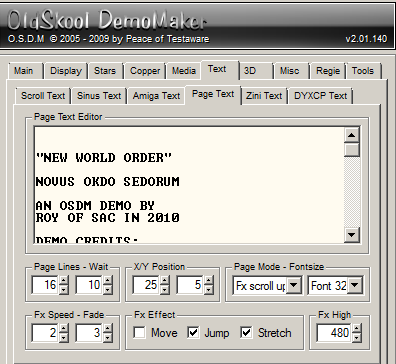 at the end of the demo to execute the command. To avoid any accidental execution caused by potential delays between the effect activation and the modification of its speed to stop it, I added a few spaces at the beginning of scroller #8 and also the pause (^P3) prior the quit command. S0 control command for display/space reasons. I also added line-breaks for the same reasons. It uses the modified font like the Big scroll but it uses different letters, which were replaced with gray boxes in different shades. 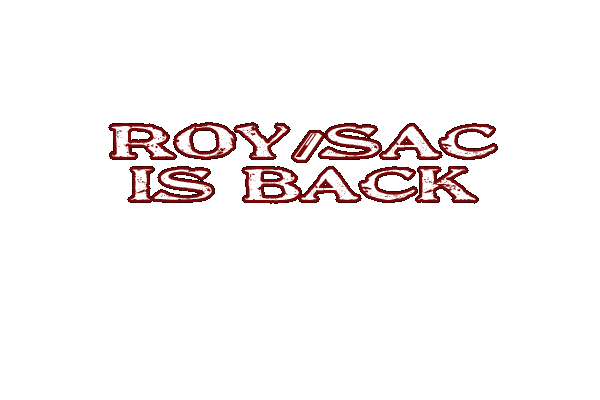 ROY OF SAC IN 2010! 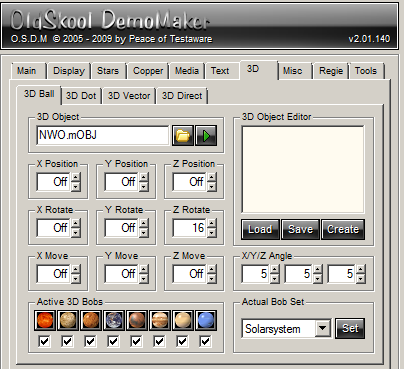 Due to the lack of control of 3D objects via OSDM Script in the current version of OSDM (Peace is fixing this in the upcoming version of OSDM) is it quite a challenge to use multiple different objects in a single demo, because the rotation settings etc. are all fix and the same for all objects. You can only control the movement of the object on the X and Y axis as well as zoom it on the Z-axis. 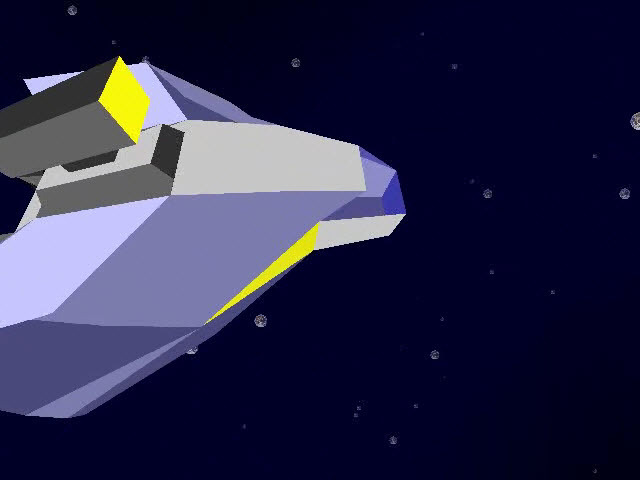 While the settings worked nicely for the Stars Circle vector object, it was a different story with the spaceship. It just did not look right and changing the current settings would have screwed up the other effect. As a solution for this dilemma I added animation commands to the space ship object. All points are animated on the X, Y and Z coordinates to add some extra movement. 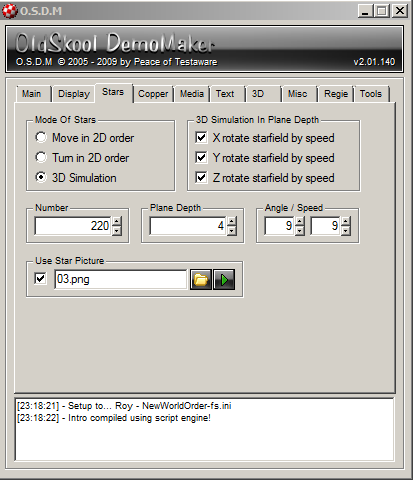 Also to consider was the fact that once you enable the vector effect, ALL objects within the mVOBJ object definition file start to rotate according to the settings in OSDM. This happens regardless if you selected a particular object via IDN = X. This means that the appearance of an object changes depending on how long you had the effect enabled prior to show other objects. Depending on the object and the rotation settings, this can have dramatic impact on how each of the vector parts are going to look like. The same limitations and challenges also apply to the 3D Ball vector objects. 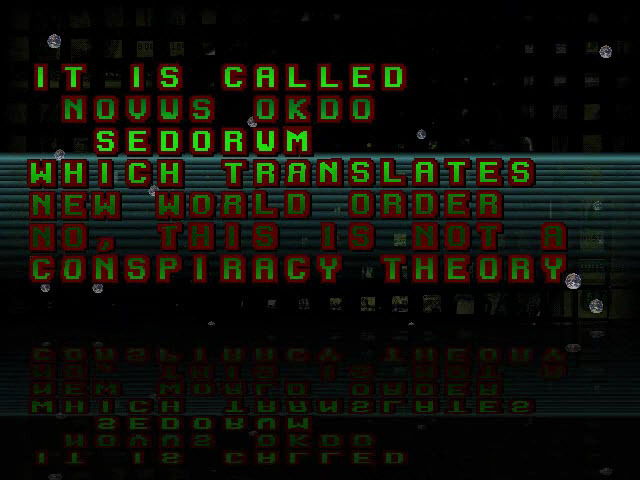 A simple text layer used for the intro sequence (part 2) of the demo. Faded in and out using OSDM Script. 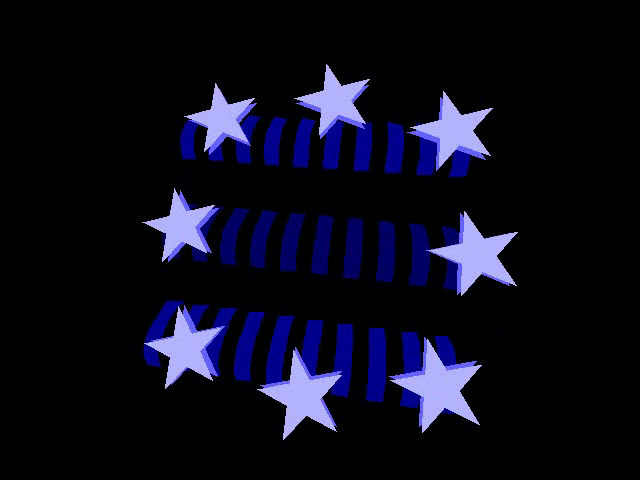 Used for the title animation part (3) of the demo. 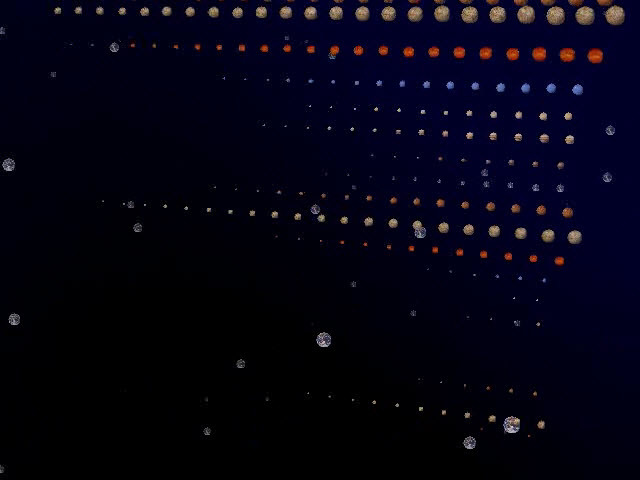 Zoomed and faded via OSDM script. The funny animation of the mouse that is scared of what it sees to escape with a squish in classic comic style. 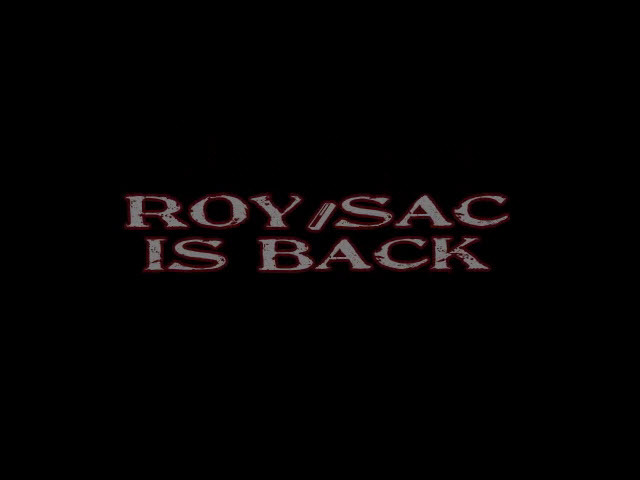 Used for the title animation part 3 of the demo. * The Bounce Off settings are irrelevant and can be switched off, because the bounce bob appears on a screen that is entirely black. I only used the bounce bob effect for this, because I could not use another sprite slot anymore, because adding a 7th sprite would reduce the maximum allowed file size for all other sprites as well and some of the vital frame animations would exceed this lower maximum. 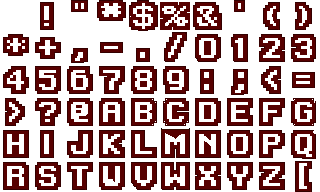 I use the C64 Back Effect for most of the transitions between the individual demo parts. 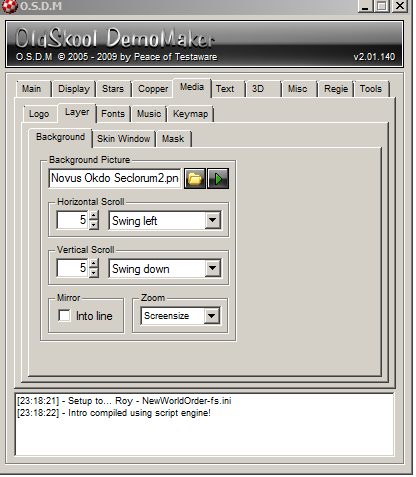 See screenshot of a transition further up in this tutorial. I call the effect via CAL = C64 (OSDM Script) right before I stop the display at the end of a demo part via STP = DISPLAY and stop it within the next demo part via STP = C64, right before I enable the display again via the CAL = DISPLAY command. The heart and core of the demo where everything comes together. The whole direction of the demo and the separation into its individual parts is controlled via script, also the direction of the individual effects within each part as well as the transition between them is all done via this script. Talking about a tutorial, simply GREAT. Must have took you a lot of time to write it, so I would like to thank you for the work you did! 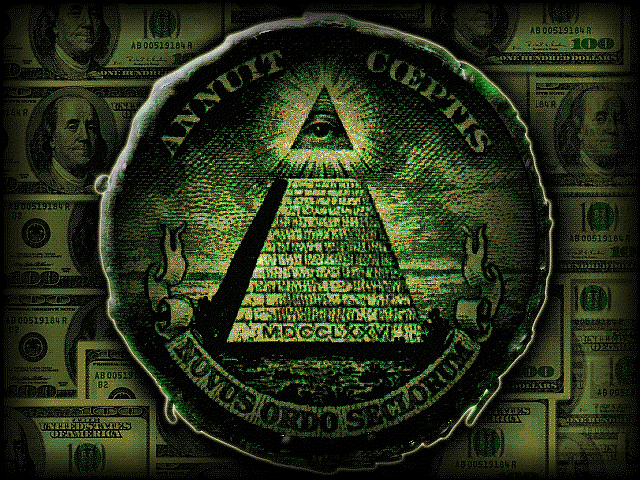 Previous Post: Open Letter to YouTube/Google from an Active ???You-Tuber?? ?